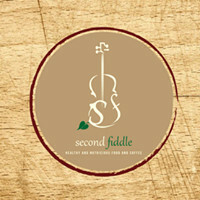 Im a Fan of Second Fiddle... Are you? Fill in the below form and you can recommend ‘Second Fiddle’ to a friend or family member via a text message. Show your support with a quick share of ‘Second Fiddle’. Amazing coffee and the friendliest service in Newcastle! Love the friendly atmosphere and great food. A new surprise every day. The place oozes Commitment and passion. They deserve all the finest recognition. 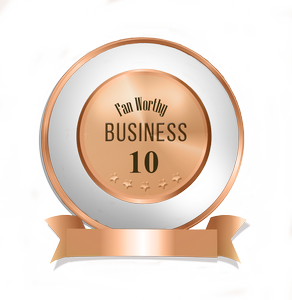 Consistently great coffee, fantastic food and always friendly service! Highly recommend them! I have eaten at Second Fiddle several times now, and am so impressed by the decor, ambience,fast, friendly service and wonderful, fresh food. The sweets are incredibly good. Pricing is most reasonable, parking is easy and being a smaller venue, it is a far more relaxing experience than I would get elsewhere. Top marks from me. The staff are lovely and their bacon and egg rolls are the best I have found! I just love this delightfully friendly Cafè. I have been there a few times in the past & will definitely be going back. Coffee is amazing & food is always homemade & fresh. The team at Second Fiddle go out of their way to make your stay as comfortable & enjoyable as possible. You will never leave hungry. Along with the convenience of being around the corner, Second Fiddle has become my local coffee shop with a difference. It boasts the most beautiful owners and staff who are always so happy to see you and will have a conversation no matter how busy they are. They make the best coffee in Hamilton and always have an array of delicious, homemade treats in the cabinets. They truly embody the phrase ‘service with a smile’. If I could give them 6 stars I would! Great service, wonderful, friendly staff, all meals are prepared fresh and are always divine. Coffee is to die for! Love this place! Staff, food & coffee are always on point.. Detour from the main hub to experience this little treasure. Impeccable customer service!! Social media use is fantastic. Food always looks absolutely amazing. Couldn’t recommend them more highly! I love visiting Second Fiddle for their lovely staff and delicious coffee! !